The Xiaomi Redmi Note 5 smartphone is designed with metal-plastic built with a gorgeous display and owns the latest processor, a large amount of RAM, and as well as a good battery of improved capacity in comparison to its predecessor. In addition, this device received a dual rear camera module on the backside. 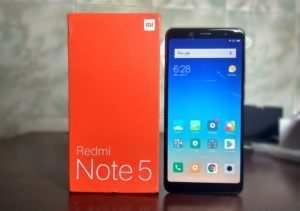 In this review, I will focus mainly on the pros and cons of Xiaomi Redmi Note 5. The last couple of years, Xiaomi is doing very well in India owing to an excellent price-quality ratio. The Redmi series of Xiaomi is especially very popular for their price range and yet offering excellent configurations. 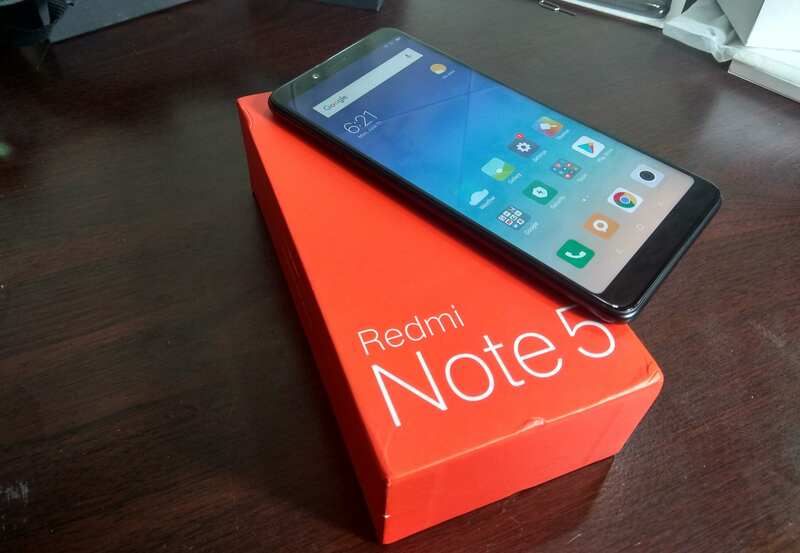 In February 2018, Redmi Note 5 Pro and Redmi Note 5 phones were introduced in India, which was fully copy of Xiaomi redmi note 5 plus. 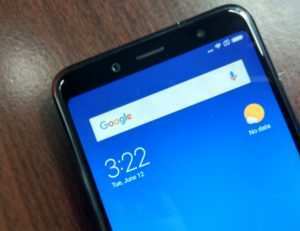 In the late March, they have introduced the Chinese version of Redmi Note 5, and it turns out that Redmi note 5 happens to be the Indian version of this very phone.Generally, the global version is the Chinese redmi note 5 .Having said that its key highlight is the AI Dual Camera module which Xiaomi claims is of improved capacity. 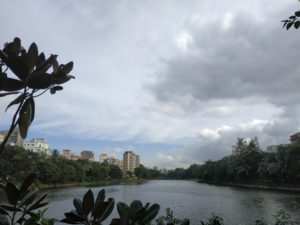 In other words, The camera is a much-improved more as compared to its predecessor Redmi Note 4 with AI algorithm integrated. The phone comes in solid red color box which is quite attractive to look at. Inside the box, You will see that the TPU case lies on the top, already wrapped in plastics. 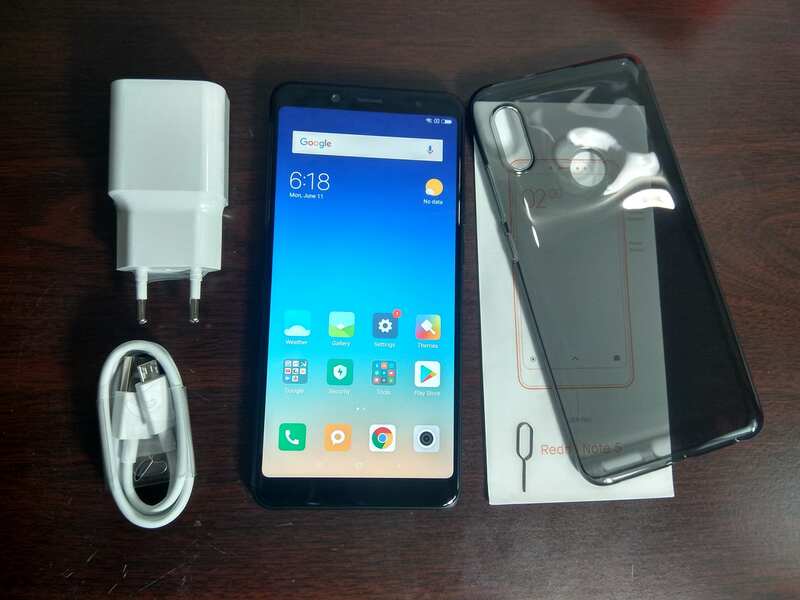 Besides the handset itself, you will find Redmi Note 5, power adapter, USB cable, SIM ejection tool, user manual, and a transparent silicone case. The front side has a 5.99-inch display in 18:9 aspect ratio with rounded corners. 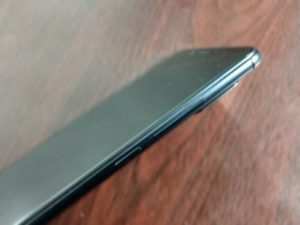 The bezels are thinner on the top and bottom, and the side bezels are also smaller. Thanks to Xiaomi that they have shrunked the size of the bezels. 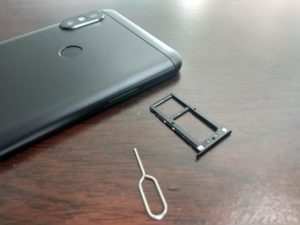 on the left-hand edge, Hybrid Slot is included for placing either two nano sim cards side by side or a SIM card and a MicroSD card. On the other side, there is a noise cancellation hole and cheap and 3.5 mm audio jack. On the bottom edge, there is a micro USB port, not a USB type c, There is also a mesh of external speaker & a mesh for a microphone, the USB port is housed between them. 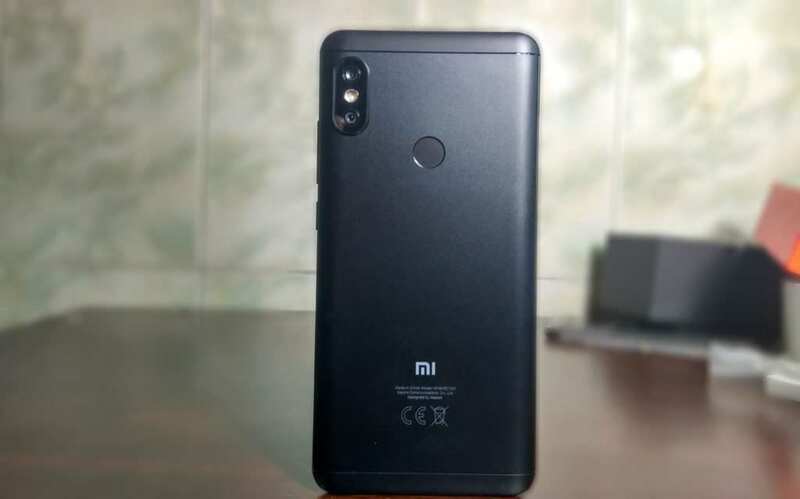 The backside of this model resembles the look that is somewhat like the body of the iPhone X, Xiaomi Redmi Note 5. The body seems to have been a metal unibody with 2 plastic caps at the top and bottom back side and this feel very good to fit in the palm of your hand. In the middle, the fingerprint scanner is nicely positioned and on the left side we have both the dual camera and a dual LED flash The phone is crafted with premium design and it weighs about 182 grams. The phone comes in 4 different colors – black, gold, rose gold, & blue. The front panel comes with a large widescreen display of 18: 9 aspect ratio and the screen is about 5.99 inches tall and comes with Full HD Plus resolution (2160 x 1080 pixels). Thanks to the huge pixel density of 403 PPI. Redmi Note 5 display looks more like a copy of Redmi 5 Plus but although the phone is distinctively different in some other aspects. The white color balance seems a bit closer to the natural one and if you compare these two devices, then know that Redmi Note 5 is slightly biased in warm colors. The picture and video quality are crisp and clean with excellent color rendition and wide viewing angles. The ability to adjust the backlight of the screen is offered both manually or automatically, by activating the “Auto tuning” switch. The corresponding option allows double tapping so that the backlight of the screen could be turned on. With regard to the color tones (warm, natural, cold) and contrast (standard, increased, automatic)-these are provided in the Settings app. In addition, a step-by-step adjustment of the size of the text is also added in order to enhance the variety of uses. Also, the “Reading Mode”, which is also pre-activated, is designed to reduce the glare on the eyes. The intensity of the blue filter is suggested to be adjusted independently. As a protective measure, 2.5D is applied with a qualitative oleophobic coating. If you are a big fan of photo shooting in the bright sun, the images are clearly detailed and they are perfectly readable. The best thing about this phone is the combination of 8-core Qualcomm Snapdragon 636 processor and Adreno 506 GPU and that too is coupled with an operating frequency that clocks at 1.8 GHz.If you compare it with other chips, the closest relative would be Snapdragon 660. There is a slight problem – and this noticeable only in the presence of the lower graphics visuals. So you can play a lot of high-intensity games without any problem lapses. But the processing speed is so fast that the average user will suffice if saying that the phone is worth buying at this cost. 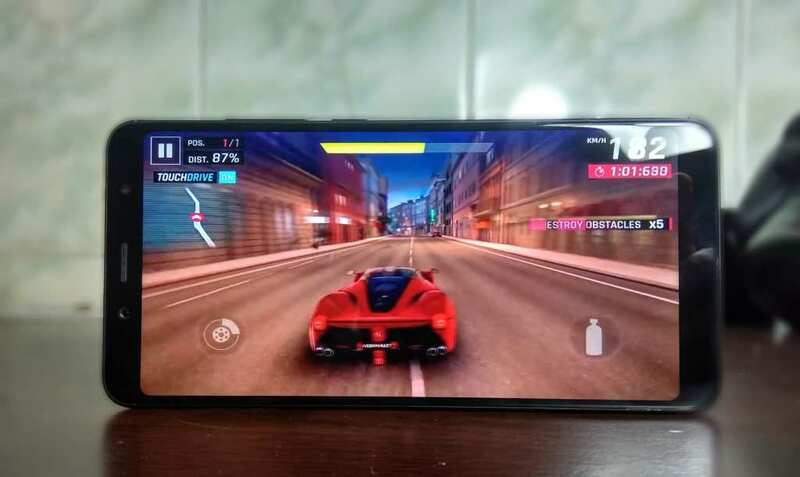 In addition, this processor is characterized by low heat, and as a result, lack of trotting, excellent autonomy, and overall comfort is what you get on the table from using this cool smartphone even during periods of peak load. The smartphone released 3 different variants 3/4/6 GB of RAM and 32/64 GB internal storage. This amount of RAM should be more than enough for even the most active users. The permanent memory can be expanded via microSD card up to 128 Gb. 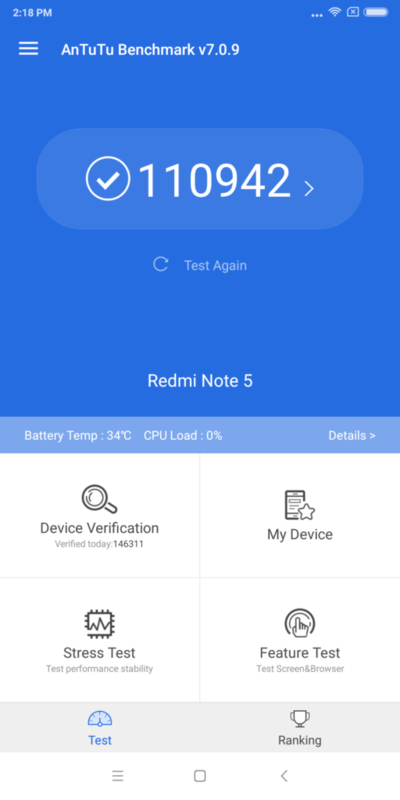 In the performance test, AnTuTu smartphone Xiaomi Redmi Note 5 scored 108776 points. 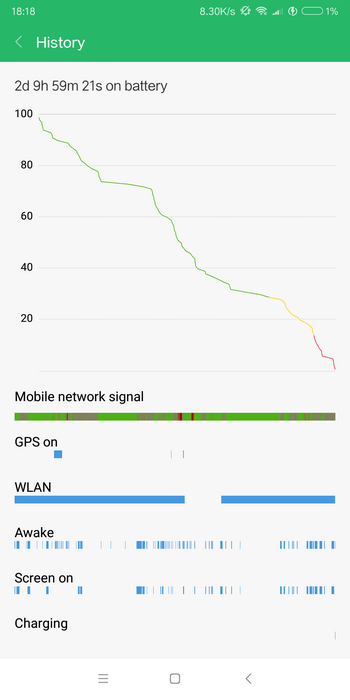 This is an excellent result for a budget phone. The smartphone runs MIUI 9.5 firmware and Android 8.1.0 oreo operating system. The quality of sound is not bad at all but there are no stereo speakers here although there is only one on the lower edge and that’s all that can be said about it. The volume reserve is enough to cover the standard background noise, there are no suspicious artifacts even when playing at the maximum level of sound, as well as deep working frequencies for a standard mobile sound. 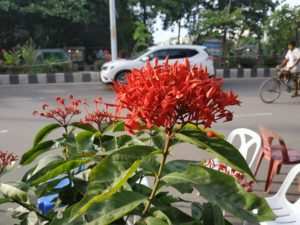 As for the connectivity,the phone works in the following frequency bands as enlisted here: GSM (Band 2, 3, 5, 8), CDMA (BC0), WCDMA (Band 1, 2, 5, 8), TD-SCDMA (Band 34, 39), FDD -LTE (Band 1, 3, 5, 7, 8), TDD-LTE (Band 34, 38, 39, 40, 41).Smartphone confidently keeps the network, proximity sensor to work perfectly fine with this quality of the microphone. The conversational speaker, as already mentioned above, is just as excellent. 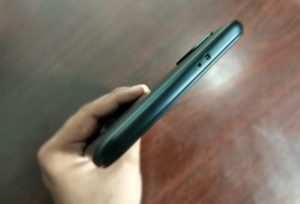 As a “dialer”, the phone is very good and is extremely responsive to the taps of your fingers. Xiaomi Redmi Note 5 offers a dual-camera set up-12 megapixel primary selfie snapper and 5-megapixel auxiliary camera. This dual camera module is a much-improved version then their phones predecessor redmi Note 4. Unlike Xiaomi Redmi 5 Plus (whose photographs are of mediocre scale and this is not surprising, given its price). The newer model, I mean this one has not one but two camera modules on the rear panel. 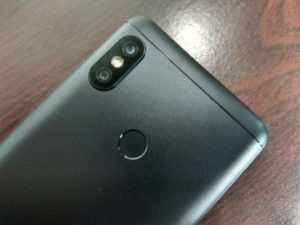 But, unlike last year’s Mi A1, the second Redmi Note 5 camera has noticeably smaller megapixels. 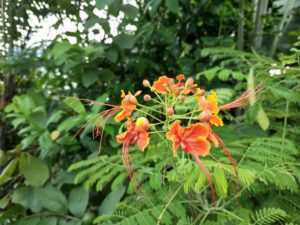 And, apparently, that is why it does not allow us to shoot with a double optical zoom, as it is realized in Mi A1 – this is quite similar in many respects, including the price, to a smartphone. But it gives you the opportunity to shoot portraits with artificial background blur. That sounds too good to be true considering the cost of this device. While I was writing this article, its price was about $199.99 Please check the current price for a 3GB RAM and 32GB ROM version is expected to be about $199.99 and 4GB RAM 64GB ROM version price is expected to be about $229.99. The price may sometimes fluctuate, so please check the actual price quotes on the website. If you compare the images of Mi A1 and Redmi Note 5, it is noticeable that there is almost no difference between them. My word! But to be honest, nothing revolutionary awaits you considering the rapid evolution of smartphones in our days- the camera shoots smoothly, It is curious that in case of insufficient lighting, you can sometimes get very good pictures, which you will not be ashamed to put up on the social media. 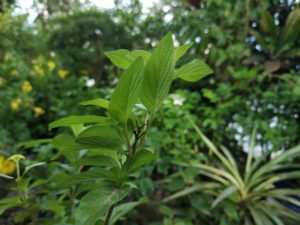 Some weird shots with a horribly overlooked ISO, compared to that of Mi A1 picture will be more than adequate for day to day use. You will experience the novelty using a special night mode. 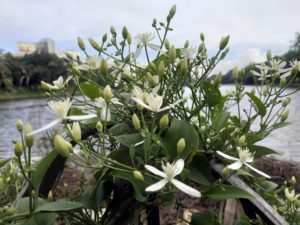 But during the bad time of a day, you can not rely on manual mode, because there you can configure only two parameters: white balance and ISO. Better than nothing, but still too modest of the budget phones. 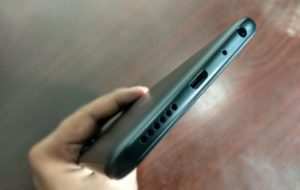 The capacity of the built-in battery is 4000 mAh. During the normal mode of operation and this excludes the usage while playing games, you may use of social networks, instant messengers and other stuff such as automatic brightness adjustment- the battery life will go on for 2 and half days with 7 hours of active screen. Quick charging, unfortunately, is not included. 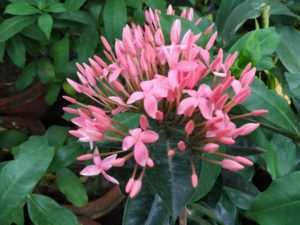 This media set back but this is compensated by other good features of the phone. 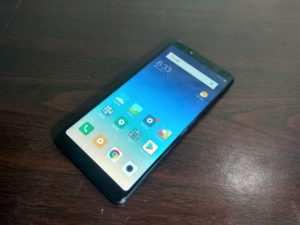 Xiaomi Redmi Note 5 – this is an excellent smartphone with a budget that will fit a large range of audiences, except perhaps the people with a gaming mania. All the other tasks will be coped up with ease. You be the judge and I will roll the ball to your court: the smoothness of the work is excellent, the display does not disappoint anyone, the autonomy is all right, even if NFC, and you could close your eyes and immerse yourself to the best of performances. The games that are moderately heavier are suited to everyone’s use. .Also thanks to the improved Camera module. It is currently available in 2 variant on Gearbest .com.